24-year-old Queenie prefers the slums of the East Village in Manhattan to her parents multi-million dollar estate in Westchester. 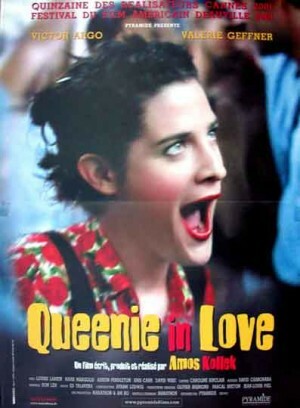 A quirky character who plays pranks on everyone, Queenie works as a social worker with kids while unsuccessfully pursuing an acting career in New York. Horace is a middleaged ex-cop who lives by himself in the same neighbourhood. Having been diagnosed by his doctor as terminal with only a few months to live, Horace starts going to a shrink and tries to fi nd a meaning to his life, at which point he meets Queenie, who takes him on a whirlwind of a ride, before they fi nally, truly fi nd one another. It is a quirky, romantic New York comedy about the pursuit of love, life and the right to be your own wacky self. Excentrique et déjantée, Queenie, 24 ans, tente en vain de mener une carrière d'actrice à New York. Horace, ancien policier entre deux âges, vit seul dans le même quartier. Quand son médecin lui annonce qu'il ne lui reste que quelque mois à vivre, il commence une psychanalyse et essaie de donner un sens à son existence. C'est alors que Horace fait la connaissance de Queenie, une rencontre qui va bouleverser sa vie. Après « Sue perdue dans Manhattan » et « Bridget », un nouveau portrait de femme signé Amos Kollek : Queenie, joyeusement déglinguée, 24 ans, qui rencontre Horace, ex-flic en fin de vie… Vive l’amour!